Five police officers were injured when they crashed three patrol cars during a high speed chase with a £120,000 Bentley Continental stolen by three teenage joyriders. 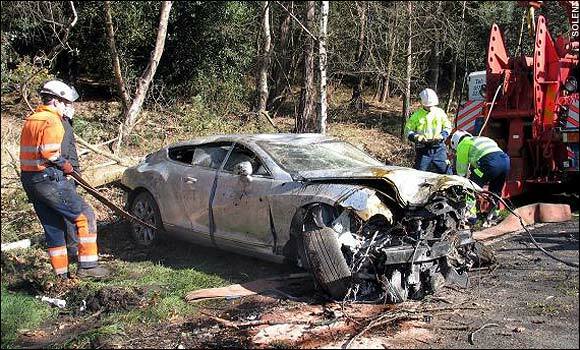 The supercar, which has a top speed of 195mph, careered off the road and flew through the air before coming to rest on its roof. Is it me or am I the only one thinking that a car with this sort of price tag, should have come with a foolproof anti theft system. Not only that just what does anybody need with a car capable of 195mph, we just ain't got the roads for it.